We visit this glorious restaurant once a year when we are in the Algarve - heaven in May. The attached photo is one we took in 2003 looking out on the world from our table. 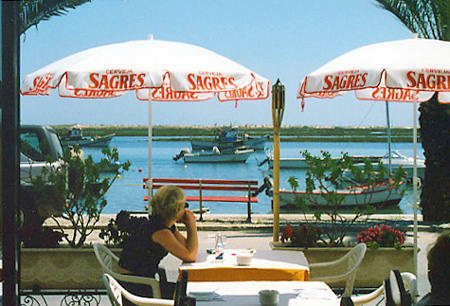 The links below take you to lots of other photos taken along the Algarve - just a few are from local postcards. Photo prise à Santa Luzia (Tavira) depuis le Restaurante Capelo. © Alquimista.net, 8 mai 2004.